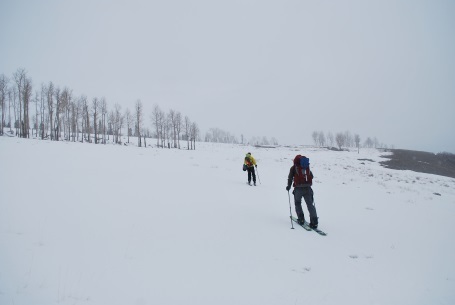 “Why don’t we go to the last trail marker and then try to find the hut from there?” I asked. Everyone looks back at decisions made in the past and contemplate how life could be different. What would your life be like if you took that job in Atlanta instead of Aspen? What if you chose to go to a different college? Life would be different. You would have met different friends, learned different work/life skills, and remember different memories. No matter what path your journey took place, you would be you, and possibly a different you. Passion is Learned, Not Given. A few months ago, a friend mentioned that he didn’t understand this millennial generation. I asked him to elaborate since I’m a proud member of said generation. He explained that a potential hire asked in the interview process if his company provides a work-life balance. Work-life balance is a buzz word for many working professionals and people understand that there is more to life than the office. That’s great. Enjoy the outdoors, spend time at home with your family, or find time to relax. 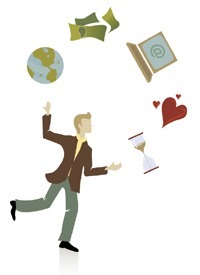 My challenge to you is to align your passions with work so you achieve a work-life blend. Are you inspired by people in your network? If you aren’t, you need to meet some new people. Being successful in my business is important to me and these individuals motivate me to follow my passion to positively influence the lives of my clients. My last article encouraged you to reach out to individuals in your network and to learn how their work skills benefit their daily lives. During these interviews, each mentor had some great advice for success. These words of wisdom are helping me improve my business, and life in general, and I hope they motivate you to reach success with me. First of all, thank you to all these fantastic people for their time and willingness to answer my questions. It was a great opportunity to catch up and to learn about their distinguished careers. 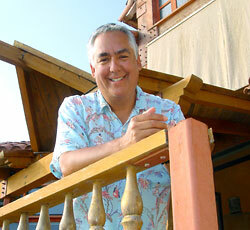 Ralph Rubio – Co-Founder of Rubio’s, a Fresh Mexican restaurant chain with over 190 locations. Ralph and his father opened their first Rubio’s in 1983 in Mission Bay, San Diego, and took the company public in 1999.